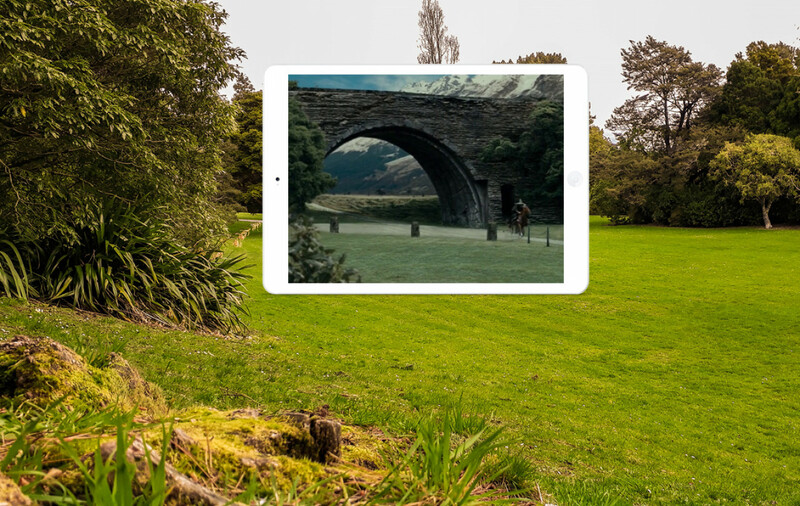 Harcourt Park provided the perfect backdrop for the gardens of Isengard in The Fellowship of the Ring. The gardens are lovely and well looked after, but at the time of filming in 1999, they were not very well known by international travellers. Therefore, filming could be done with minimal disturbances. Gandalf gallops through the gate of Isengard to seek the advice of Saruman. The gate was not created using CGI but rather a small-scale model which was set up on location. The mountainous background, shot in New Zealand's South Island, was superimposed during post-production. The gravel path was constructed specifically for filming. Saruman steps down the stairs of the tower of Orthanc and greets Gandalf. 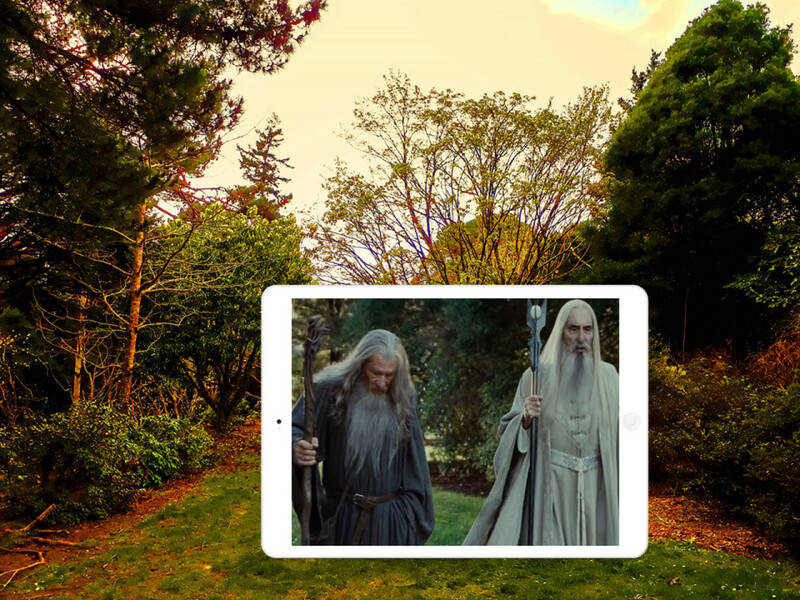 In the following scene, we see the two wizards walking through the beautiful gardens of Isengard. Saruman: "So the ring of power has been found?" Gandalf: "All these long years it was in the Shire, under my very nose." Saruman: "And yet you did not have the wit to see it! Your love of the Halfling's leaf has clearly slowed your mind." Gandalf: "We still have time...time enough to counter Sauron...if we act quickly." Saruman: "Time? What time do you think we have?" Harcourt Park was also used for the scenes when the orcs chop down the trees of Isengard to fuel the fires of Saruman's forges. The viewpoint of Gandalf galloping through the gate is at S41° 6" 3' / W175° 5" 33' or -41.100833 / 175.0925. The viewpoint of the conversation between the two wizards is at S41° 6" 3' / W175° 5" 34' or -41.100833 / 175.092778.